What’s in the life of a barrel? Its existence centers around providing flavor and complexity to fermented and distilled beverages. For many, a lifetime will see more than one type of fluid contained within its staves. A barrel can be passed around from place to place, but sometimes it comes home to where life began. 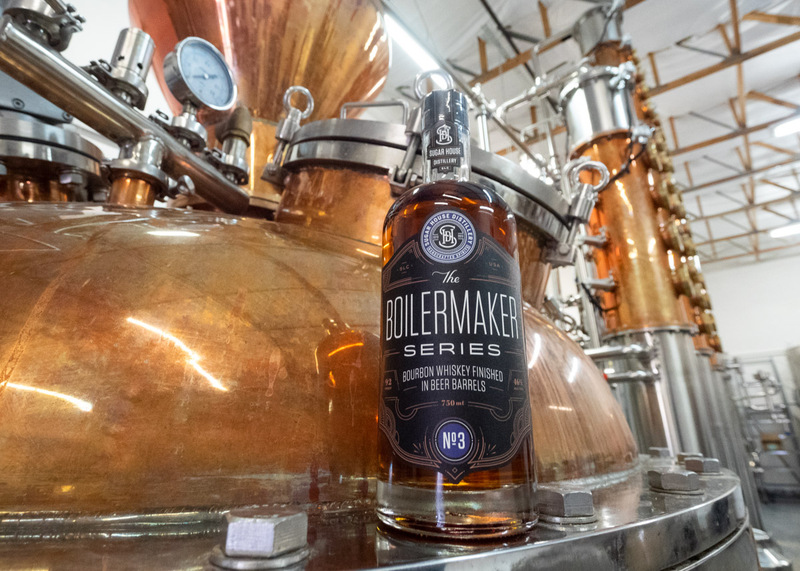 That’s the story of Sugar House Distillery’s Boilermaker Series No. 3. The barrel was emptied of the distillery’s bourbon and passed on to Kiitos Brewing where it was filled with coconut stout. After the beer aged, it too was emptied, and the barrel returned home to Sugar House Distillery where it was again filled with a finished bourbon. Nine months later, Boilermaker No. 3 is ready to drink! Buy it today (Saturday April 13th, 2019) at Sugar House Distillery. If you missed my first article on this subject, Whiskey Aged in Beer Barrels?, you’ll want to go back and read it. I explore the effect oak barrels have on the liquid they contain, and how flavors are transmitted from the wood. It a nutshell, the whiskey or beer soaks into the wood where it receives flavor and color from the oak’s vanillin and tannins. Oxygen seeping into the barrel also serves to mellow the harsh flavors of the alcohol. When a barrel is re-used, there are flavors from what was in the barrel that are passed on to what lives in it next. The result adds a new layer of complexity to the finished product. 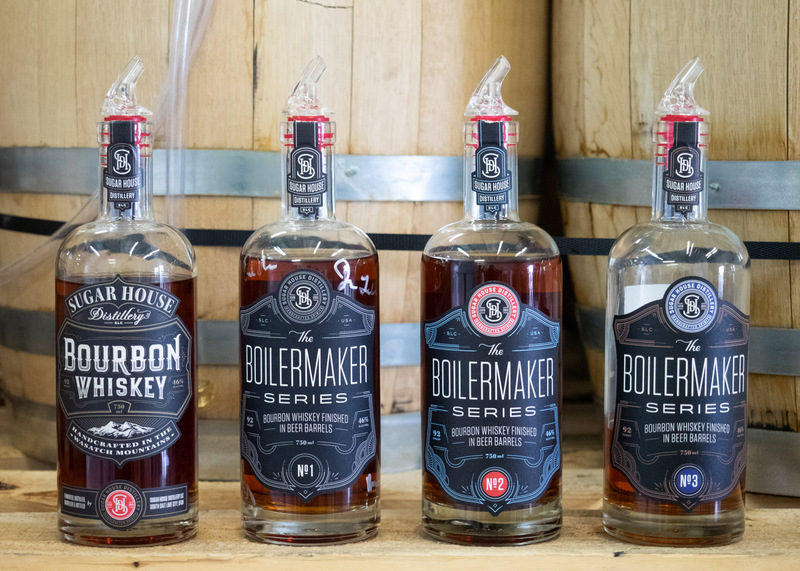 The Boilermaker Series is ultimately a fascinating experiment. Many beer drinkers are familiar with the effects that whiskey, wine, rum, and brandy barrels have on beer. But, the practice of finishing spirits in beer barrels is far less common. Sugar House distillery has embarked on this experiment with abandon. You never know what will come of it, but whatever it is, it’ll be interesting. Boilermaker No. 1 used a Cockeyed Cooper barley wine barrel from Uinta and ended up with an amazing floral character from the hops. Boilermaker No. 2 was finished in a Smoked & Oaked Belgian strong barrel from Epic which gave it rich caramel and dark fruit notes. In each case, the effects are subtle, but the whiskey is altered by its time in the beer barrel. Sugar House Distillery has opted to finish bourbon in beer barrels for longer than is customary. A time frame that may typically be 2-3 months, stretches to around 9 months when it comes to the Boilermaker Series. Much of the flavor from the barrel can be tasted in the whiskey after the first 90 days. Then, flavors often mellow out and become more subtle. But which flavors increase, and which will decline with time is unknown until the experiment is performed. Boilermaker No. 3 spent time in a Coconut Stout barrel from Kiitos. Initially there was quite a bit of coconut in the whiskey, but that aspect waned with time. What remains is mostly a chocolatey essence from stout’s dark malt character with a delicate hint of the coconut. 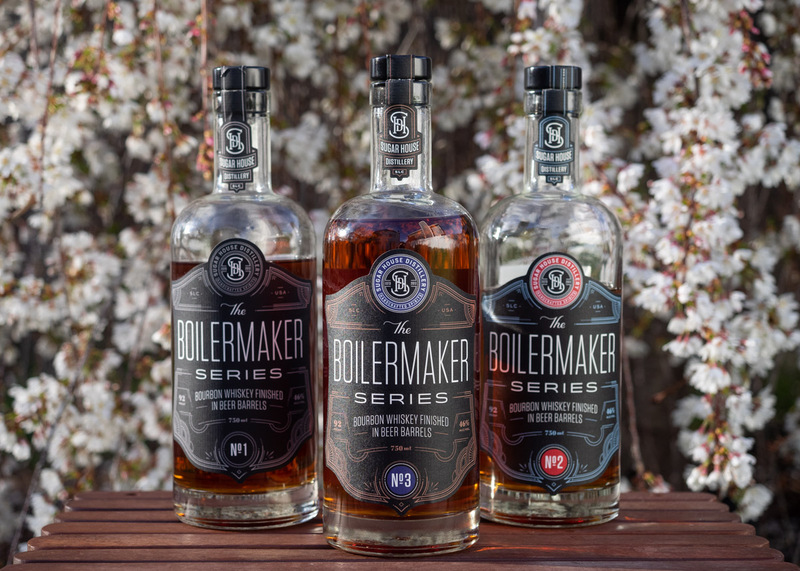 If you get the chance to do a tasting of the Boilermaker Series in its entirety, take it. Add a glass of the Sugar House Bourbon to the lineup for reference. That way, you can decipher what each beer barrel added to the whiskey. The first two installments of the series are long sold out, but plenty of people out there still have them hanging around. Keep your eyes out for Sugar House Distillery to offer a special tour that will include a full series tasting. It’s also useful to try the beer itself alongside the whiskey. In some ways, the beer can overwhelm the palate and make it difficult to pick out the subtle notes in the whiskey but drinking the beer can help you understand where the flavors and aromas you perceive in the whiskey are coming from. Don’t forget to start with smelling. It’s amazing what you can pick up through your nose! Now that the Boilermaker Series has a solid start, it’ll be fun to see where it takes us in the future. Recently, Sugar House Distillery acquired a Furlong (bourbon barrel-aged Imperial stout) barrel from Red Rock Brewing and filled it with bourbon for a future release. Incidentally, the beer from those barrels is being released today, the same day as Boilermaker No. 3. Cool! There are also plans in the works to use a cider barrel from Mountain West Cider, and even talk of trying a sour beer barrel. The acidity has the potential to contribute some citrus notes. Any bacteria that still lives in the barrel would be killed by the alcohol in the whiskey so there isn’t a worry of “infecting” the bourbon. Whatever happens, the outcome is sure to be unexpected. When a barrel holds whiskey, then beer, then whiskey again, the circle of life is complete. It’s a beautiful thing, my friends. 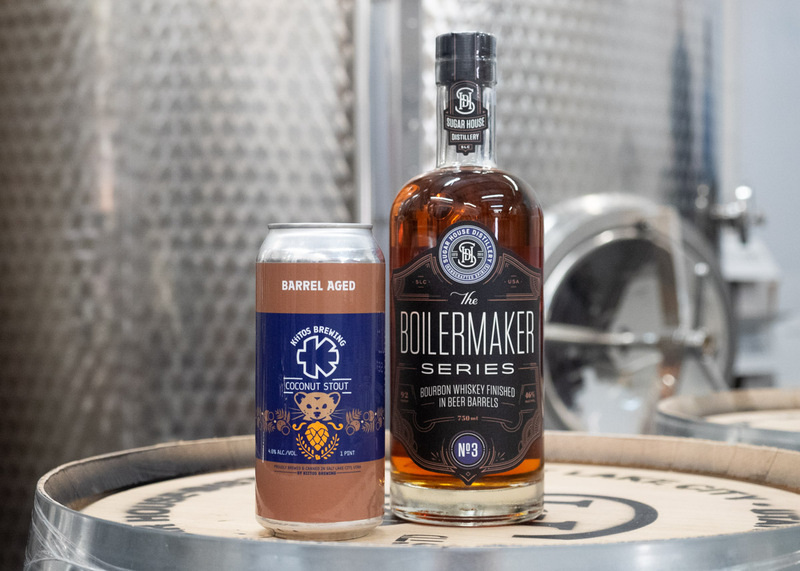 Experience it for yourself by visiting Sugar House Distillery for their Boilermaker Series.